People have been using engineering to solve the problems of their daily lives since the first caveman picked up a rock and chipped away at it to make a handaxe. That was in the Paleolithic, about 70,000 years ago. It is impossible to list all of the inventions that people have made since then, there are so many. For tools, there was first the stone handaxe, and then stone scrapers. In the Neolithic, people invented stone sickles. People used obsidian because it was sharper than flint. Around 3000 BC, people first began to make bronze knives and sickles. They also made tweezers, razors, and spoons. By 1500 BC they were beginning to make iron knives and all kinds of tools out of iron. 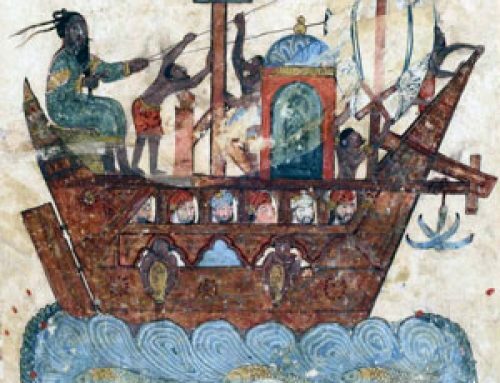 Around 1000 BC a lot more people all over the Mediterranean began to use iron. Gradually mining and smelting techniques became more and more sophisticated. Sometime around 300 BC, people in India started to make high quality crucible steel. But until the 1800s AD, people could only made steel in small amounts, so it was expensive. Then the Bessemer process brought us lots of cheap steel. People started to make everything out of steel: forks, egg-beaters, bicycles, cars, and so on. 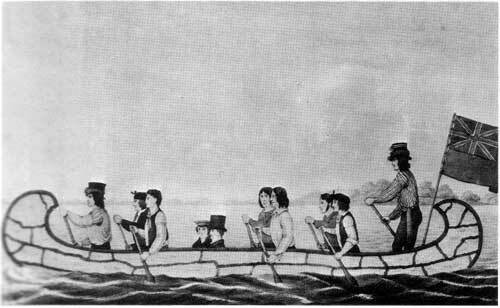 For hunting, there were bone fishhooks and wooden spears with stone tips, and later on stone arrowheads. People began to spin string and knot it together to make nets for fish and birds. They wove thin sticks together to make snares to catch rabbits and squirrels. Then they invented bronze, and later iron. People began to make fishhooks and spearheads out of these lighter, sharper metals. For clothing, first people invented ways to tan hides, to preserve animal skins as leather and furs to keep people warm. Then they invented bone needles and thread, to sew these clothes together. Then in the Neolithic, people invented the drop spindle to spin wool and linen and looms to weave it into clothing. Gradually the design of looms improved, with the invention of the heddle. Dyes were also invented, and knitting. 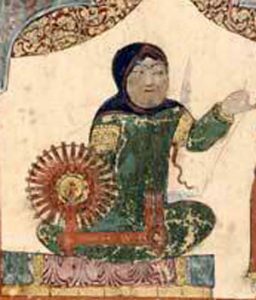 The next big advance in clothing technology was the invention of the spinning wheel in the Middle Ages, which made it possible to spin four times as fast as before. For cooking, the most important invention comes right at the beginning with the invention of ways to make fire: the firestick and flints. By the Neolithic period the oven was invented, and also the spit for roasting meat over a fire. Pottery, for making cooking pots and storing water and food, was very important. People started to use pottery around 7000 BC, and the potter’s wheel was invented around 2000 BC, and made pottery making much faster. The use of bronze and then iron to make spits is better because metal will not burn through like wood. But more importantly you can boil water much faster in a metal cooking pot than in a clay one, which saves on fuel. 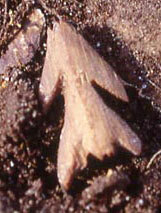 Wooden spoons have existed since the Neolithic. Scholars disagree about the date of the first forks, but certainly there were forks by the Roman period, about 100 AD. 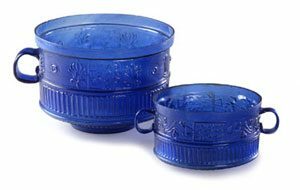 Blown glass cups became popular about the same time. The invention of the chimney, in the Middle Ages, must have helped to keep houses from being so smoky, and also reduced the risk of fire. For farming, the most important invention is farming itself, but soon after that comes the simple plow. Later people began to have animals pull the plow, and sometimes put iron tips on the plowshares. The Romans invented a longer handle for the sickle, which made reaping much more efficient. And by the later Roman Empire, around 300 AD, there were heavier plows. On some big farms, an animal-drawn automatic reaper was being used. In the Merovingian period, harrows began to be used. A better form of horse harness was also invented around this time. For transportation, there was first the ox-cart, with the idea of wheels and axles. Horse-riding seems to have been brought to the Mediterranean by the Indo-Europeans, starting about 2500 BC. After that, horse-drawn chariots became popular, both with two wheels and with four. In the Bronze Age, donkeys became popular as pack animals, and in some places people began to build stone roads and bridges for the first time. The Persians, around 500 BC, pioneered the idea of a relay system to carry messages more quickly. 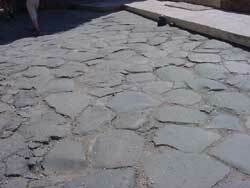 The Romans are famous for their carefully laid roads and bridges, many of which are still in use today. 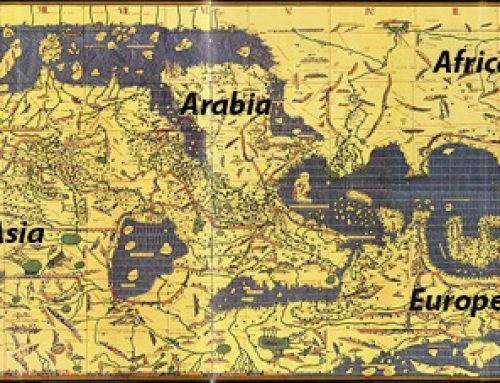 It was in the early Islamic period that people first invented a good saddle for camels, and so were able to start using caravans of camels to transport people and things in the southern Mediterranean (we can’t say whether the increased use of camels was due partly to the desertification that followed the coming of Islam, when people shifted from pig to sheep and overgrazed the hills, but it seems possible). To get drinking water, and to irrigate fields, many different inventions have been used. The first was baskets lined with tar, and leather bags. Then clay jars were used, which were heavier but didn’t leak as much.Soon people began to dig wells to get water closer to home. 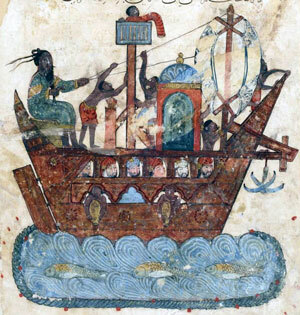 In Egypt and Sumer, people dug huge canal systems to take the water from the river to their fields, and used levers to raise the water up into higher canals. The Greeks piped water from springs or wells to public fountains in their cities. 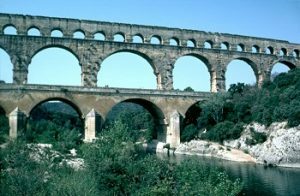 The Romans built huge aqueducts going for miles from a mountain stream to their cities or their fields. In the Middle Ages, however, most of these aqueducts went out of use, and people went back to using wells again. Cite this page: Carr, K.E. 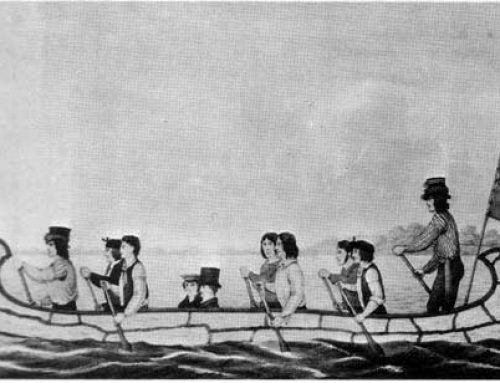 History of engineering – transportation, cooking, metal. Quatr.us Study Guides, September 5, 2017. Web. April 21, 2019.